Please check in for updates and general information. ​12/10/2017: Something for fun! A Foiling Opti. 12/11/2017: Looking for gear: ILYA Classifieds. ​12/10/2017: We are looking for our teams to request their online TeamSite. ​12/10/2017: Interested? Check this out! ​We see the championship level events as a capstone to our summer long training. We support and encourage all our athletes to participate in these fun opportunities as they build confidence, community and connections that will last a lifetime. If your child is interested in racing at the club level, we encourage you to meet with our Program Director to discuss your child's readiness and the best steps to getting involved with membership to the OYC and the ILYA. Please email images for use on your personal TeamSite page. Don't forget to tell us which team it is for. Please list the program you participate in. at the time of request. 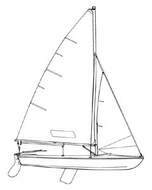 List the full sail number of the boat you will be racing as selected above. High school programs do not apply. List name of the boat you will be racing as selected above. High school programs do not apply.